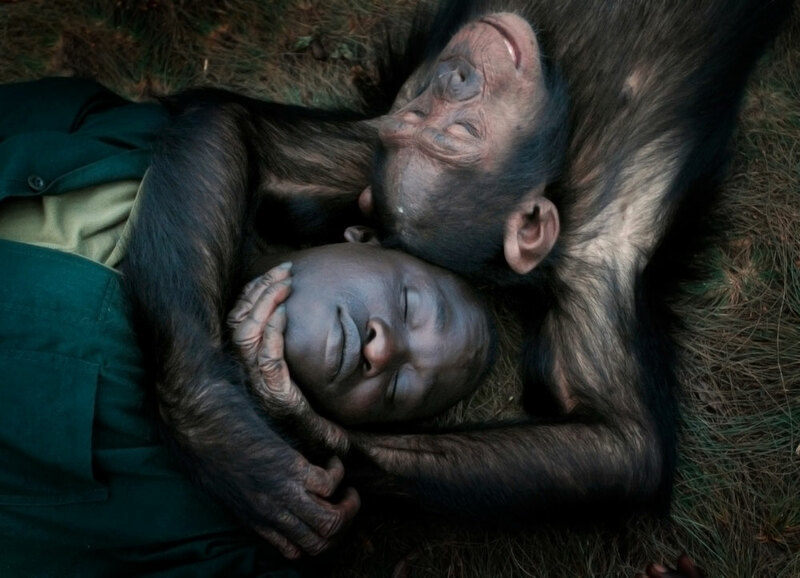 Robert Okello, a caregiver at Ngamba Island Chimpanzee Sanctuary in Uganda, rests with a young chimp after playing on a forest walk on the 100-acre island. "Chimps are our closest relatives. We should treat them like a member of the family," he says.